Challenge the status quo of style carrying the elegant Vivienne Westwood® Balmoral Long Wallet. Long wallet made of leather. Squiggle lined interior features flap card slots, front slip compartment with card slots, open slip compartment, center zip compartment, and back slip compartment. 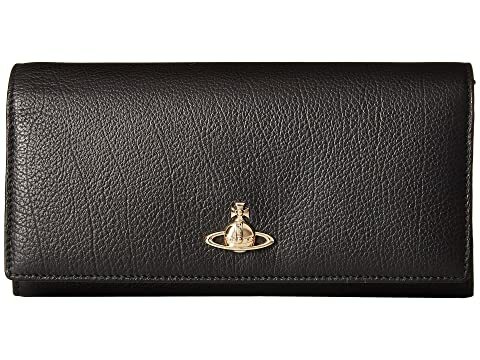 We can't currently find any similar items for the Balmoral Long Wallet by Vivienne Westwood. Sorry!